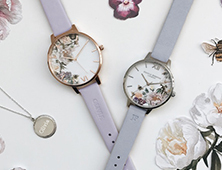 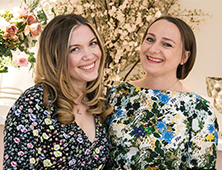 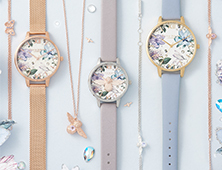 Taking its cue from the beauty of the first Victorian glasshouses, this midi dial features delicate wildflowers and lush botanicals inspired by the first exotic plants brought back to Britain by explorers. 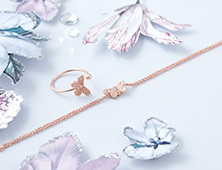 To be extra sweet, we added a shimmering rose gold 3D Butterfly detail. 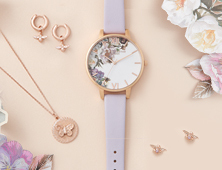 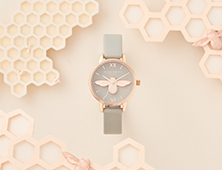 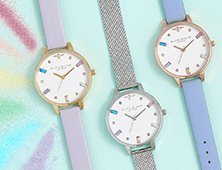 To be extra conscious, we fitted it with a complementing vegan-friendly strap.